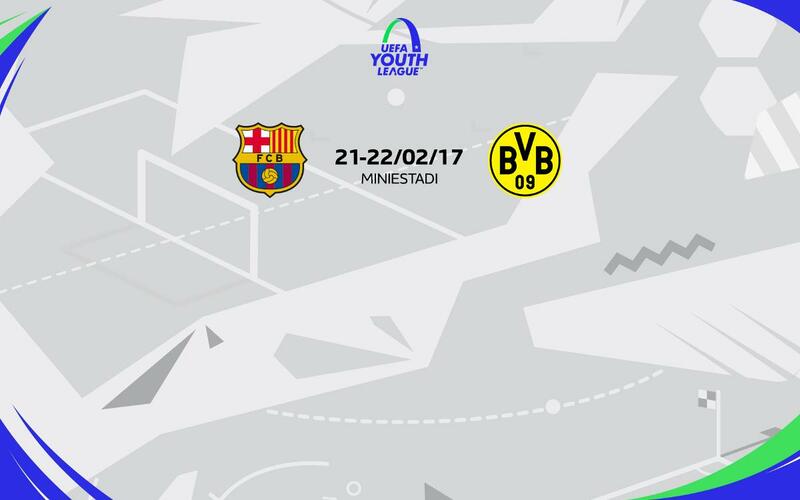 The FC Barcelona U19A side have been drawn against Borussia Dortmund in the last 16 of the UEFA Youth League. The draw took place at UEFA headquarters in Nyon and the game between the blaugranes and the German club will take place at the Miniestadi on 21 or 22 February with the kick off time still to be confirmed. Entry will be free for what promises to be a mouthwatering one-off tie between two of Europe’s top teams. The draw for the quarter-finals and semi-finals also took place on Friday with Barça set to face either FC Porto or Viitorul should they make it past Borussia Dortmund. The possible quarter-final clash would take place on either 7 or 8 March. If the blaugranes were to make it to the last four then a hypothetical semi-final would come in Nyon between 21 and 24 April against one of Salzburg, PSG, Atlético or Sevilla. The final will take place on 24 April, again in Nyon, where they would face one of the teams from the other side of the draw: Monaco, Real Madrid, Ajax, Dynamo Kiev, CSKA, Rosenborg, PSV and Benfica. This is the fourth season of the UEFA Youth League with Barça having been proclaimed champions in the very first edition in 2014.